In fashion, I am so mesmerized by texture. 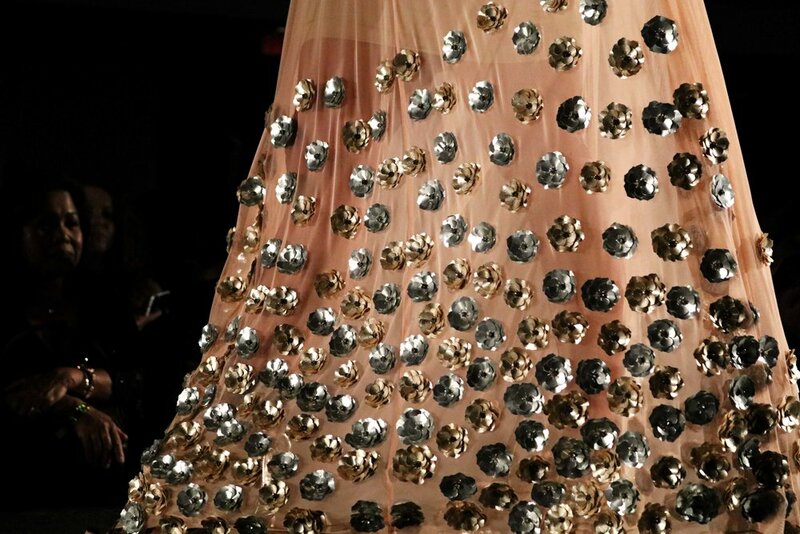 Embroidery, beading, sequins, jacquard, three-dimensional construction...all of it. I attended the 5th Annual Kauai Fashion Weekend last month at the breathtaking Kauai Marriott Resort and was in complete awe at the immense talent living on the island and beyond. Collections from Puka Surf, Definitely Baba, Chanterelle Couture, Wahine Toa Designs, Edgar Madamba Designs and Ahmad Couture glided down the runway on models of all shapes and sizes. Prior to the show, there were plenty of red carpet photo opportunities and shopping with local vendors. For VIP ticketholders, a three-course dinner was served before the lights dimmed for the main event. Kauai Fashion Weekend was founded by Marynel Valenzuela and co-founded by Sha Ali Ahmad of Ahmad Couture, whom I had the pleasure of meeting following the big runway show before my flight back to Dallas. 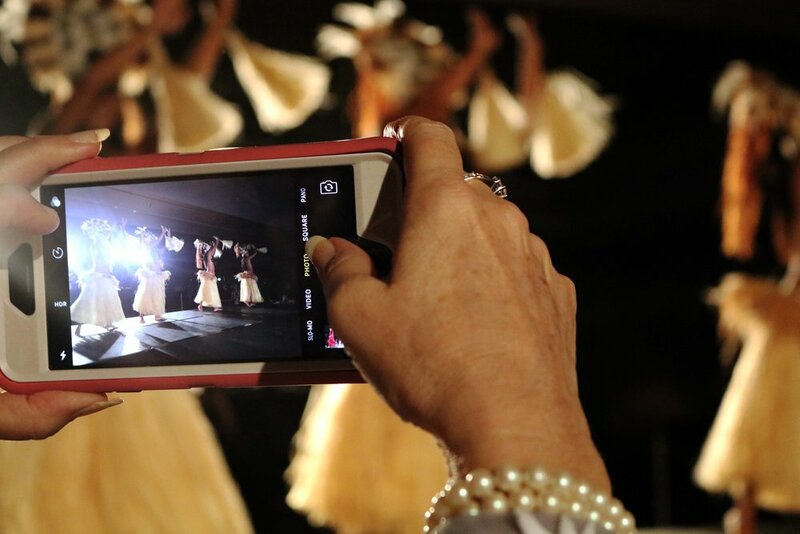 Kauai Fashion Weekend was more than just a fashion show -- it was a cultural experience worth capturing every moment of. Celebrity guest, Meghan Edmonds from the Real Housewives of Orange County with Sha Ali Ahmad of Ahmad Couture. Kauai Fashion Weekend was indeed an inspiration. Usually when traveling, I like to bring home fashion magazines as a souvenir or a piece of clothing (or jewelry) other than a t-shirt, but this time I brought back so much more! I brought home memories from an incredible fashion and cultural experience that I will always remember. Learn more about Kauai Fashion Weekend and secure your tickets for next year's runway show!